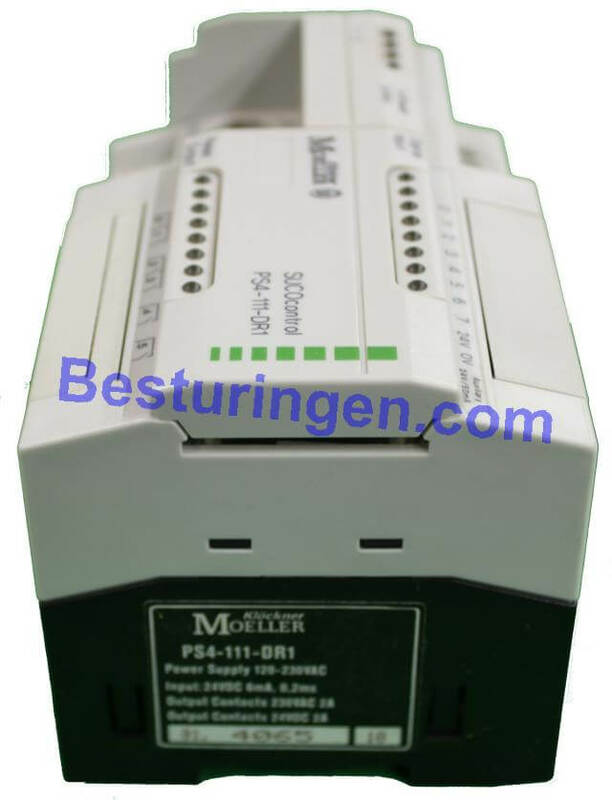 Moeller plc's and parts second hand / used u find here in our web shop. 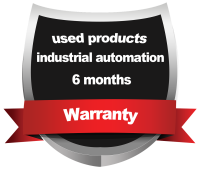 we also sell new Moeller parts. 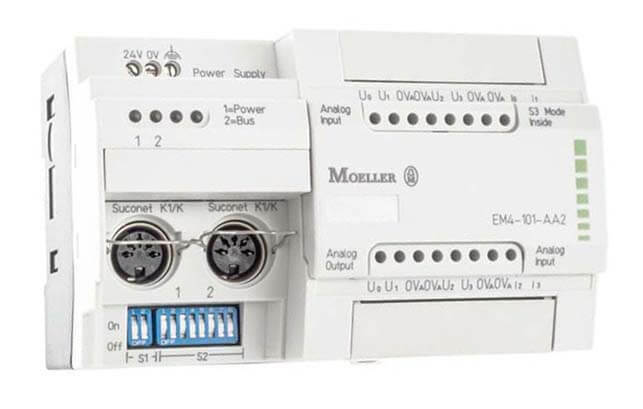 Moeller plc's and parts second hand / used u find here in our web shop.  we also sell new Moeller parts, if you cant find were you are looking fore please send us a e mail. 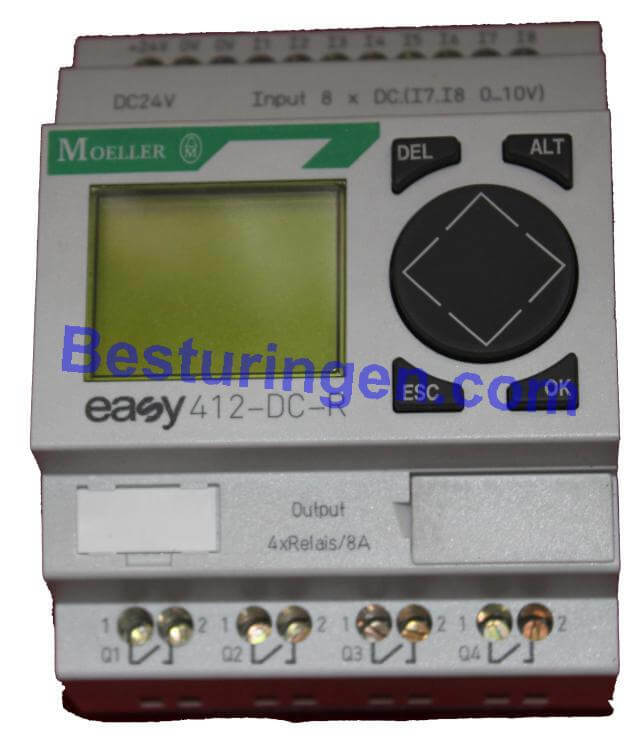 EASY412-DC-R used Moeller mini plc with 8 input and 4 relays outputs. 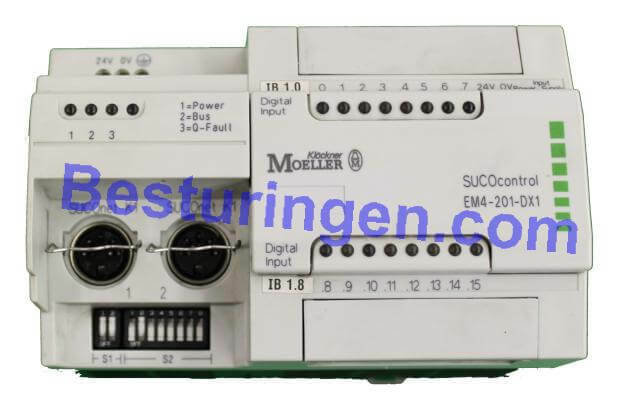 EM4-201-DX2 type Klockner Moeller plc expansion module Suconet K used. 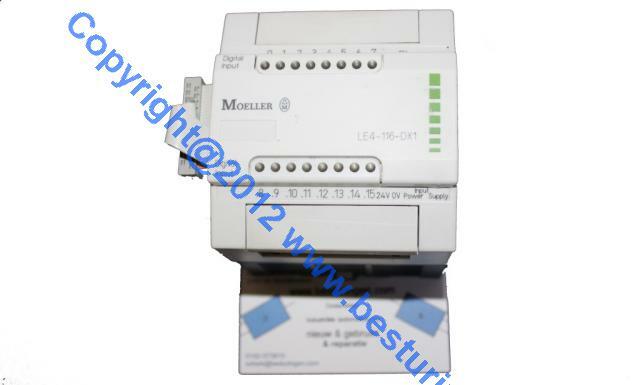 LE4-116-DX1 Moeller 16 inputs used 24V DC expansion module. 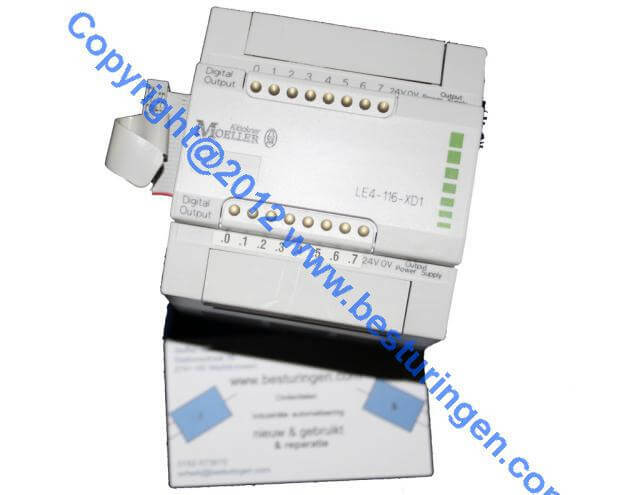 LE4-116-XD1 Klockner Moeller 16 output transistor plc expansion unit used. 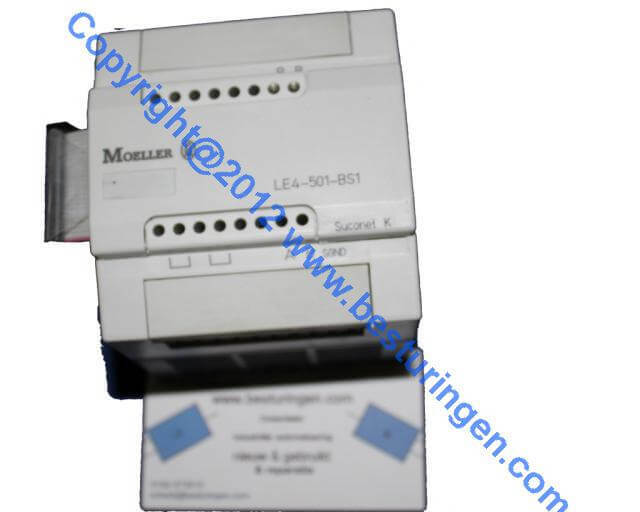 LE4-501-BS1 used Socunet K module from the brand Moeller plc. 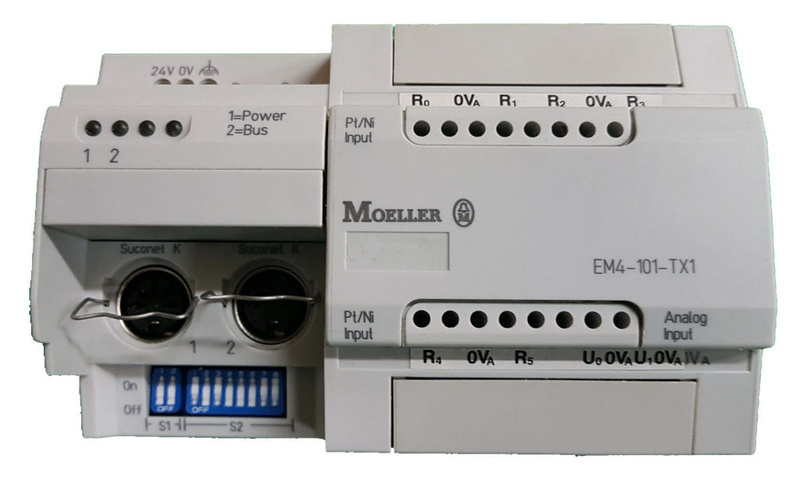 EBE211 used plc timer module from the brand Klockner Moeller. 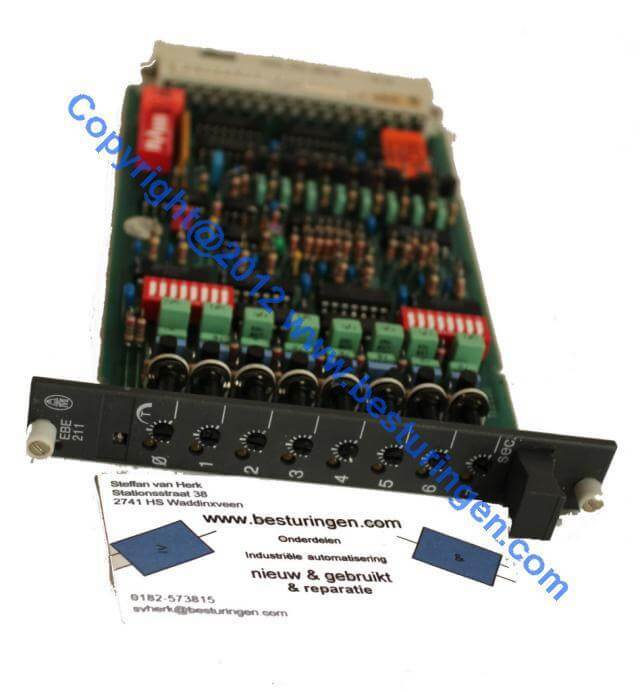 Here you find used Siemens Logo products. 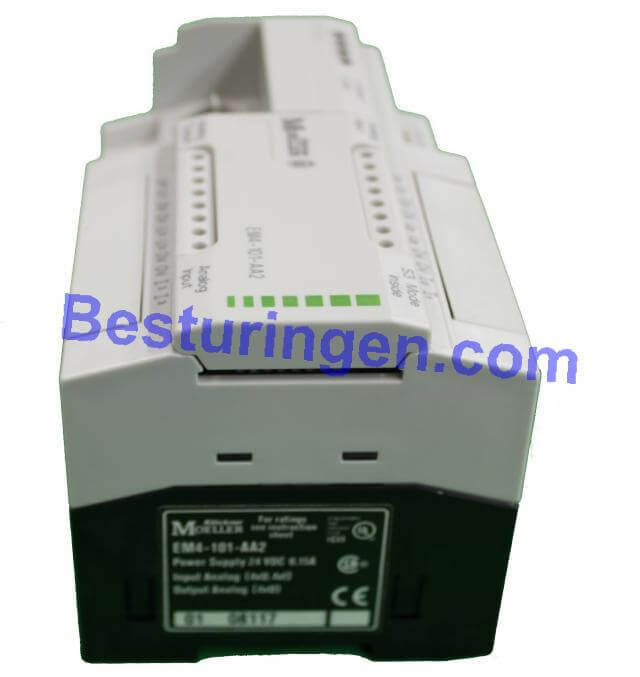 We can also write the software for the Siemens Logo fore you. 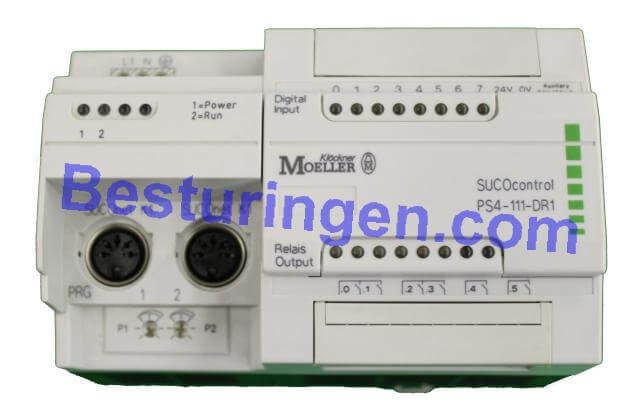 Here you can find used / second-hand Siemens S7 plc parts. 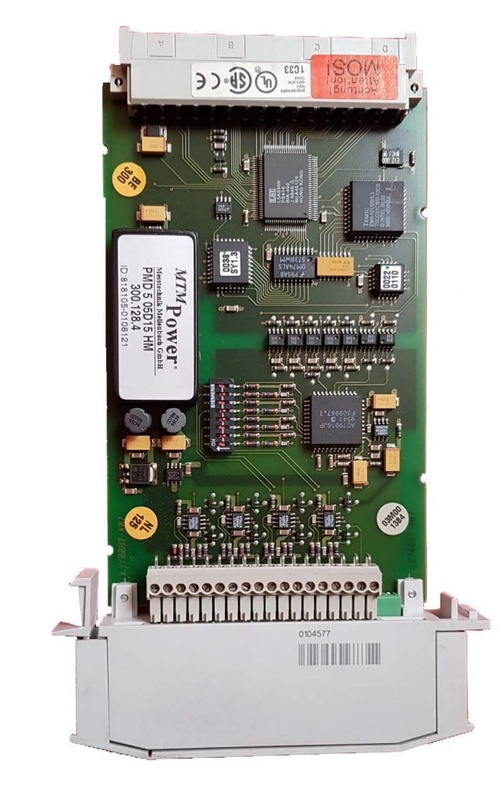 Omron second hand PLC parts. 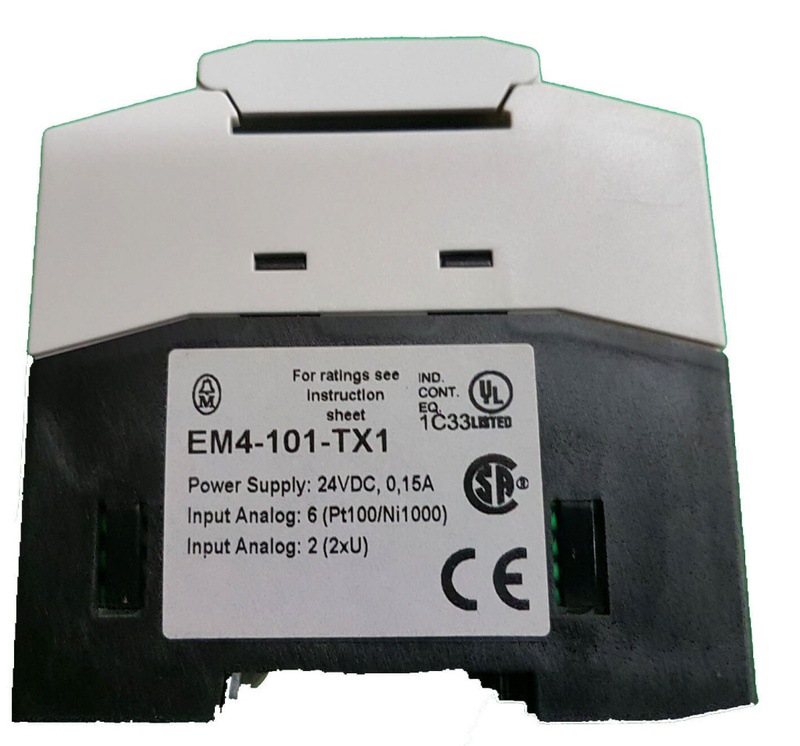 Here you find second hand / used Omron plc parts.